Most well known as a presenter for RCN News. 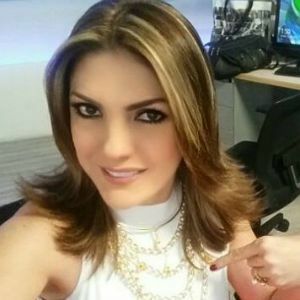 In 2017, she was nominated for a TVyNovelas Award Colombia for Favorite Host in an Entertainment News Show. Outside of RCN News, she also hosted the reality show La isla de los famosos. One of her first television appearances was in the 2002 television documentary series Protagonistas de novela. She has dabbled in acting, appearing in recurring roles in Retratos and La costeña y el Cachaco. She and actor Alejandro Aguilar gave birth to their son, Dante, in 2016. She appeared in the romantic comedy series La costeña y el Cachaco alongside Geraldine Zivic.